We’ve all been there. You’re driving down the road in your RV and all of a sudden you are “hangry” (angry because you’re so hungry). Never mind that you just ate a few hours earlier. To make matters worse you’re miles from the nearest fast food restaurant or quick mart. These hunger attacks always seem to happen when – A. you don’t have time to stop or B. you’re in the middle of nowhere. Then there is the wad of cash you need in order to purchase the fast food, snacks, candy, chips, and drinks – on the road. Here are some tips to help you tame the Hangry Monster before you head out on your next RV adventure. Planning Ahead is Key: Take advantage of the convenience of your RV! Purchase a special cup with a built in straw and spill proof lid for each member in the family. This will also prevent spills in the RV. Let each member of the family pick out their own unique cup design. Make sure none of the cups are identical. This will save a lot of headaches on the road trip when you have a rogue cup that several family members try to claim as their own. Take a poll of everyone’s favorite drinks and buy enough to last until you reach your destination. It is always less expensive to buy these in bulk before you leave on your trip. On the road you can pour your favorite drink and enjoy the passing scenery. Get a sturdy, roomy cooler for your drink storage. Stay hydrated with non-sugary drinks. Pack plenty of bottled water. Freeze some bottles to use in the cooler to chill your drinks. Then you will also have plenty of cold water to drink. Salty, sweet and crunchy cravings will be satisfied with delicious trail mix. You can make your own and add or delete ingredients to suit your taste buds. Mix up a big batch of trail mix. Package in individual plastic baggies or keep the trail mix in a large plastic tub. Use plastic cups to dip out mix and also as a serving cup. This will keep the RV neat and tidy and make clean up a snap. If you don’t have time to make trail mix or other snack mixes, buy individual bags of prepackaged pretzels, peanuts and chips. This way you will have everyone’s favorites on hand. Use a small, sturdy plastic trash can with a locking lid for collecting trash. That way if it gets knocked over during the trip it won’t make a mess. Pack large kitchen trash bags to collect trash and don’t forget to pack extra bags. Recycle plastic, glass, and aluminum in a separate bag. Mix well in the ratios you choose. Store in an airtight container. Easy meals on the road. Having a kitchen in your RV makes meals and snacks a really convenient and inexpensive way to eat while travelling. With a refrigerator, stove and microwave all on-board, eating is easy and enjoyable! Everything goes better with music, including RV road trips. With today’s easy access to music online, you can down your road trip ‘mix tape’ in no time. We’ve picked ten classic songs about the road to sing along to on your next RV trip. Who can resist the strong, clear voice of John Denver as he sings about traveling home to West Virginia? Yes, it’s a really, really old song, but that driving beat will keep the RV rolling while you and your traveling buddies belt out those classic lyrics. Great late-night road trip song. We defy you not to sing along with Gregg Allman about the endless road. Obvious, we admit, but this happy tune might be a mood changer when you’ve spent a little too much time together on the road. We had to include the cowboy anthem about chasing the next rodeo down the highway. The beat alone will revive weary drivers and keep your road trip buzzing. The perfect song to learn on a cross-country RV trip. So easy to sing along with the soulful Miss Knight. Such a smooth, smooth voice, it’s hard not to smile as you sing along. Finger snapping music to revive weary travelers and keep the road trip fun! Your kids will wonder who in the world most of these artists are, but it’s never too late to teach them the classics! Let us know in the Comments section below what songs are part of your RV road trip traditions. Taking our furry family members on RV trips is second-nature for many campers. But what if Fido has a tricky tummy that doesn’t travel well? There are things you can do on RV camping trips to accommodate your car-sick pet. Let’s look at how seasoned RV travelers get their four-legged friends in great shape for road trips. First of all, they know that where their pets ride in the vehicle can help prevent motion sickness. As with humans with car-sickness issues, the worst place to ride in a vehicle is in the back. Centering your pet’s carrier in the RV or tow vehicle reduces the amount of motion their inner ears must adjust to. Traveling backward is another trigger for travel-queasy pets. Securing your pet face-forward can also help prevent motion sickness. Besides the inner ear, the eyes have a big impact on motion-related dizziness. Your pet may need to be confined where she can’t look out, if other car-sickness tips don’t help. There are numerous products that RV travelers with pets swear by for relieving motion sickness. The first step should always be to talk to your vet about what might be causing your pet to get sick while traveling. Sometimes it’s due to an imbalance in the inner ear. For other pets, it’s anxiety about traveling. He’ll ask you to describe your pet’s symptoms—is she panting and drooling, refusing to eat, unable to keep food down? Does she lie around the campground after a long trip, without her usual energy? All those behaviors are important to share with the vet. They’ll help you determine why road trips upset your pup, and come up with a plan that will have him riding happily along on your next excursion. He may also recommend Dramamine or a similar travel sickness medication. Another prescription medication often used is Cerenia. There are also natural herbal remedies that may help, but always get your vet’s approval first. Some pet owners who camp with their pets prefer not to use medication. If you’re in that group, you can try acclimating your pet to travel over time. Do some trial runs in your vehicle, traveling short distances and watching to see how they react. If he seems to relax on short rides, try increasing travel time gradually until they’re ready for a trip to the campground. your animals immediately before starting your journey. Take breaks to allow time outside the vehicle—even humans can get queasy from too many hours on the road. Take the time to learn what works to relieve your pet’s travel sickness. A healthy companion for your RV travels can be your long-term reward. Camping in the great outdoors offers so many pleasures—fresh air, beautiful scenery and the chance to be up close and personal with nature. But sometimes nature gets a little too close when creepy, crawly visitors invade our RVs. If you’ve had a close encounter with too many bugs in the camper, it’s time to follow these easy tips for keeping your camper insect-free. How Do Bugs Invade RVs? To keep bugs outside on your next camping vacation, you must first know how they creep inside the camper. It may seem obvious—a door left open, a screen not latched, but there are sneakier, and sometimes more destructive, ways for insects to invade your home away from home. Did you know, for example, that power cords left to drape across the ground can become conduits for ants and other small insects to follow into your RV? The same goes for anything left stacked against the camper. Bug-Free Camping Tip #1: Create a clear space around the camper, removing firewood, lawn chairs, recreational equipment and anything else that might provide passage into the interior or outside storage spaces of your RV. Keep power cords off the ground if possible. Here’s another strange fact that camping newbies might not know: the odor that’s added to LP gas to make it detectable is attractive to many insects. Spiders, ants and other creepers will follow the scent and build their nests around propane appliances, in vents and near your LP bottles. Bug-Free Camping Tip #2: Check everywhere LP gas flows into furnaces or appliances, and all vent areas, for insect infestation on a regular basis. If this becomes a frequent problem area, consider putting those small disc-type ant traps in closets and cabinets around LP-powered devices. Bugs will also make tracks from the forest floor to your RV interior via cracks or gaps in the camper’s undercarriage. Bug-Free Camping Tip #3: Seal any place underneath the RV where light shines through from up above. Check around pipes, vents and power conduits and in wheel wells. Ask your RV supply store for a sealer that’s appropriate to the surface where cracks appear. Let’s talk about some obvious ways you might be inviting bugs to share your camper. Torn screens, doors that don’t latch properly and poorly-fitted window frames are three more ways for insects to invade the RV. Bug-Free Camping Tip #4: Your regular RV maintenance routine should include checking for and repairing all torn door, window and vent screens, adjusting door latches to allow easy closing, replacing weather stripping and seals around doors and windows and making sure there’s no ‘wobble’ in window frames due to lost hardware or sealant. Here’s another way RVers might unwittingly invite insect (and rodent) infestation: by leaving food in containers that can be compromised. Bug-Free Camping Tip #5: Sealing pasta, cereal, baking supplies and other consumables in bug-proof plastic containers is a must-do to prevent unwelcome visitors in your RV kitchen. Make sure you remove all food products from the RV before it goes to winter storage. Want to know what veteran RVers use to discourage insects from making a home in their campers? Here are some of their easy, organic suggestions for keeping bugs at bay. Bug-Free Camping Tip #6: Try spraying doorways with a solution of either white vinegar or citrus oil mixed with water. Bugs hate both! You can also sprinkle citrus peel around kitchen corners or in closets, or rub citrus peels on baseboards. Some RVers suggest spritzing peppermint oil solution around cabinets to deter spiders and ants. A popular solution for keeping mice and bugs out of RVs while in storage is to place dryer sheets in all vents and inlets. If you’re camping long-term in one location, consider purchasing diatomaceous earth, a safe, organic substance that kills spiders, in a perimeter around your camper. You’ll find it at many hardware stores. The point of going on an RV camping vacation is to take a break from our usual routines. If your fellow campers consistently leave a mess, however, you’ll soon find that bugs have come along for the ride. Bug-Free Camping Tip #7: Food left in sinks, on counters and in living spaces is an open invitation to insects. Same goes for wet bathing suits, dirty clothes and trash left scattered around the camper. Enlist the family to keep living spaces free of anything that can become a hiding space for creepy crawly invaders. Keeping the camper clean is the number one way to avoid insect infestation while camping. RV camping is all about enjoying the wonders of nature, but nature doesn’t have to follow us into our RVs. Try these seven tips to keep your camper cozy and bug free on your next camping vacation. Traveling by RV can free us from our daily routines, but being cut off from family and friends doesn’t have to be part of the package. By using today’s technology and some old-school ways to interact, your RV camping trips can include the people most important in your life. Here are our five favorite ways to stay in touch while on the road. Ever read a blog and wonder if you could write one, too? Millions of people share their thoughts, travels and just about anything else you can think of in a ‘weblog’ that others can access. It’s a great way to keep family and friends up-to-date on where you’re traveling and what’s happening along the way. Setting up and updating a travel blog is simple, thanks to the step-by-step tutorials, photo and video uploading tools and packaged templates available through popular blogging platforms like WordPress and Blogger. You’ll even be able to connect your personal travel blog to social media via simple tools. Unless you’re planning to use your blog to promote a business, the no-cost blog options are just fine. Security tip: social media updates are a wonderful thing, but they can also announce you’re away from home to burglars. Share your blog’s link and travel posts with those you trust and consider sharing them with a wider audience only after you return home. Like to send occasional updates or important news while on the road, but hate writing the same email many times? Setting up a group of special contacts in your email software allows you to write one message and send it to many people at once. Use the help function to guide you through setting up a group, or ask your favorite tech expert to help before your leave on your trip. By the way, you have the same option for setting up texting groups in most cellphone texting applications. Go Old School—Write a Letter! Admit it, you still love seeing a handwritten letter mixed in with that stack of bills. Sending letters while on vacation adds a personal touch and could start a trend among family and friends. Pack stationery and stamps and block out time on your trip to catch up on your correspondence (doesn’t that have a classy ring to it?) Creative tip: buy stamps that relate to your travels. There are ‘forever’ stamps commemorating states, historic sites and national parks, just to name a few ideas. Postcards are the old school equivalent of a text—a quick note meant to keep you connected with the reader. Postcards bought along the way as you travel by RV are a fun, colorful way to let friends and family back home know they’re in your thoughts. Leave a trail as you travel by mailing postcards from major stops, or amuse the folks back home by choosing post offices with memorable postmarks. Making video calls used to be restricted to folks with specialized equipment, but that’s a thing of the past. Free applications like Skype or Facetime (iPhone users) allow RV travelers with webcams on their devices to both see and hear during calls. There are also apps like Facebook Messenger that allow video chats, and most major cellphone carriers have a setting for video calls that can be turned on and off on some models. Before you leave on your next camping trip, do some homework to determine what’s available for your cellphone, tablet or computer and whether the people you’d like to stay in touch with also need an account. The road doesn’t have to be a lonely place. Stay connected as much as you’d like while RV camping by taking advantage of these five communication ideas. Your goal on an RV road trip may be to detach from technology, but be sure to take advantage of the ways it can make RV travel easier. Mobile apps you can download to your tablet or cellphone can be a real help while on the road. We’ve picked five mobile apps for RV travel that we think make planning and enjoying RV camping trips a breeze. The mobile app for this excellent camping tool has an amazing variety of information of use to RVers. From thousands of campground listings in the US and Canada to information on rest stops, where to buy RV supplies and locations that allow free overnight RV parking, Allstays helps keep you informed on the road. The map-based search feature allows you to filter by type of campground (COE, state parks, independent, etc. ), as well as letting you search for RV dump stations, low-clearance warnings on your route, RV rental locations and dozens of other necessary aids to RV travel. Search results also drill down to details and contact information, directions, websites and web reviews. Created by the American Park Network, this app contains searchable listings and details on American national parks and other public lands. You can search by activity, location or map. The database includes state parks and BLM lands, as well as national parks, historic sites and monuments. This app does contain ads, but the information provided is excellent. Always seem to be missing something when you get to the campground? This app begins by asking where you’ll be going and what you’ll be doing and for how long. With that information, plus your gender, it suggests a packing list you can add to or shorten. Items like cell phone chargers will make their way to your luggage and you’ll stop making emergency trips to Walmart at midnight! Premium version allows you to customize packing templates and integrate the lists with Evernote and TripIt. Like to map your route before you go? This is the ultimate route mapping app, with details on restaurants, attractions, campgrounds and other helpful stops along the way. Save your trips for repeat RV camping journeys and expand your horizons by adding stops you decide to make along the way. Even veteran RV campers appreciate having a checklist to use before leaving home, while setting up camp and when it’s time to pack up. This app provides full-bodied checklists, from lowering the satellite antennae to making sure your pets are in your vehicle. You can also add new checklists, items or categories. Anyone can overlook a crucial detail, and having a checklist to use every time can make the difference between disaster and smooth traveling. Today’s mobile technology has definite benefits for RV camping fans. Why not try these five mobile apps for RV travel and let us know in the comments how well they’ve worked for you? The winter months aren’t kind to many parts of the US, where motorhomes and trailers sit tucked away in storage. Those cold winter months, however, are the best time to plan for camping once the snow thaws. We’ve collected some helpful tips that smart RV campers use to get the jump on planning spring RV excursions. Tip #1: Save the Date! While there’s virtue in being spontaneous, many popular campgrounds fill quickly with the first hint of spring. They may also take reservations for campsites months in advance. If there’s a special place that beckons you to set up camp, check the website or give them a call and find out when the campground opens (if not year-round), how far in advance you can book campsites and, if you’re planning to go on a holiday weekend, whether there’s a minimum number of days for reservations. By mapping out your spring camping season in advance, and booking your campsites early, you’ll avoid disappointment and have more time to enjoy the places you love to camp. State-by-State private campground list at ElMonteRV.com. Access to info on US Forestry Service, National Park Service, Army Corps of Engineers and Bureau of Land Management campgrounds at recreation.gov. Campgrounds on State and Federal public lands at reserveamerica.com. Kampgrounds of America listings at koa.com. Information on National Park seasons, campgrounds and activities at nps.gov. For spring RV camping that’s connected to a festival or sporting event, it pays to do your homework months in advance. You might, for instance, be planning to go RV camping to the legendary South by Southwest festival in Austin next March. If you are, this link to Austin area campgrounds is a good place to start. By booking early, you’ll have a better chance of scoring campsites close to the SXSW events you plan to attend. Baseball fans, on the other hand, might be planning to travel by RV to the final round of the 2017 World Baseball Classic in Los Angeles. Pick a Los Angeles area campground and book your campsite now for the best experience next March. Double your California camping fun by planning to camp near San Diego and attend Round Two games for the Classic the week before. Or you may love traveling by RV to Cactus League spring training baseball games in Arizona, or Grapefruit League pre-season match-ups in Florida. Either way, you’ll want to reserve your campsites early near your favorite ballparks. The bottom line to optimum spring RV camping at sporting events and festivals: buy your tickets and book your campsites early. You’ll be glad you did. If owning a motorhome isn’t on your horizon, you can still plan to camp next spring. Renting an RV is an affordable way to experience camping at your favorite locations. 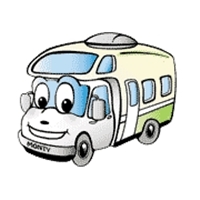 Use this RV rental link to get in touch with helpful El Monte RV staff who can help you reserve the RV you need. Find out how early you can book reservations, especially surrounding special events or near popular camping venues such as national parks. It’s easier than you think to rent an RV, and we’re happy to help with the planning. Spring’s Coming Sooner Than You Think! It may be hard to imagine camping at your favorite campground when the snow’s piling up outdoors. Spring, however, waits for no camper and it’s going to be here before you know it. Pick a place where you can play outdoors, watch exciting sports action or hear live music close to your campground and start planning. Spring RV camping season will be here sooner than you think!